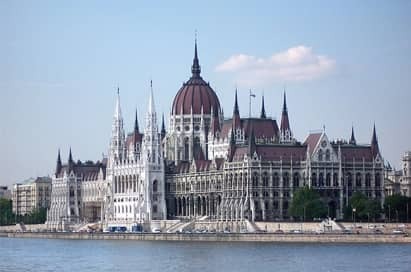 School trips to Budapest offer a unique experience and the significance of Budapest to Hungary cannot be overstated. As well as housing one fifth of the country’s population, the nation’s wealth, political power, cultural life and transport converges here in this beautiful capital city. Lying either side of the river the city is a swath of sweeping bridges and palatial buildings earning it the title “Pearl of the Danube”. Still less exposed to tourism than nearby Prague, school trips to Budapest offer an excellent opportunity to explore a city in an exciting stage of transition and is therefore an ideal destination for a school trip or educational tour. The Danube river both unites and divides Budapest and is where many of the cities sights are to be found all of them illuminated at night. 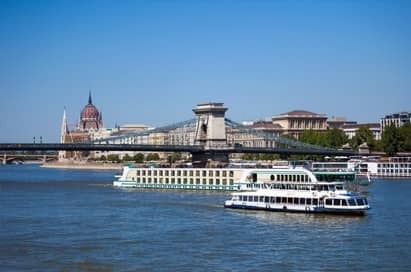 A cruise along the Danube takes in many of these famous landmarks and includes dinner taken in the indoor restaurant (vegetarian meals must be pre-arranged). Folklore evening with dinner, though not exactly a ‘typical Hungarian evening’, as it is often referred to, it’s sure to create a terrific atmosphere. Dinner is accompanied by a gypsy orchestra followed by a spectacular folk-dance show, performed by 2 pairs of dancers. Dances are taken from real Hungarian folklore, with some Gypsy inserts. Gödöllõ is the location of the Empress Elisabeth’s summer residence. The palace, built in the 1740s is a fine example of the glory days of the Austro-Hungarian Monarchy. A visits takes the students around the carefully reconstructed rooms where the style and architecture as well as the background stories are relayed by an informative guide. A half-a-day sight-seeing tour that takes in the major sites of the city, by coach due to the distance between them. 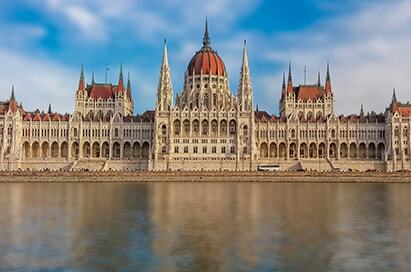 Stops include the Heroes’ Square, the Castle Area, Gellért Hill, Fishermen’s Bastion and the Matthias church. The tour (3.5 hours) terminates in the main shopping area just in time for lunch. Entrance fees not included. 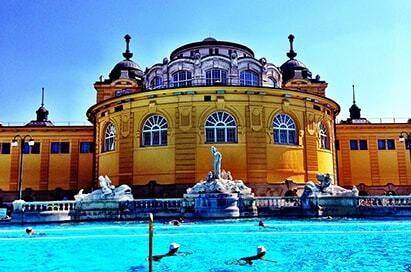 Budapest is Europe’s largest spa town and the 120 or so thermal springs that gush up from the Buda limestone bedrock have long inspired a culture of bathing. Many of the Baths around the city were built around the turn of the 19th and 20th centuries in Ottoman and Art Nouveau styles respectively. The bathing habit has become very much a part of Budapest life, visits are possible to Gellért, Széchenyi, and Lukács to name only three.